So if you aren’t aware, GU revamped their product line recently making them all gluten free and vegan and brought out some new delicious flavors. 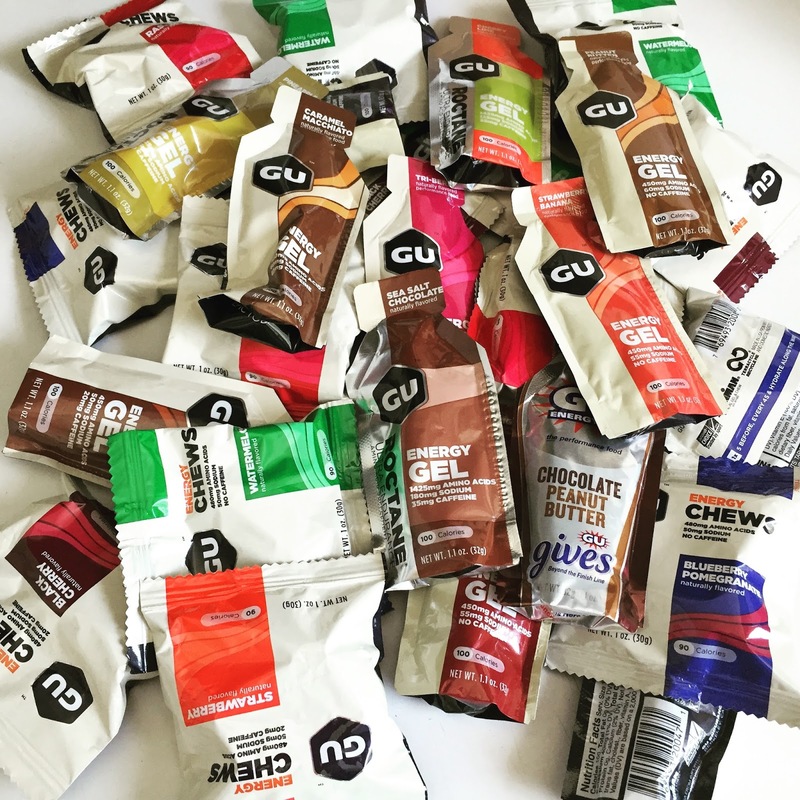 In the past, my favorite GU products were the Chomps, but thanks to the great team at GU and Outside PR, I was able to test out some great flavors and put together my list of favorites and the ones that weren’t so yummy. I was always a big fan of the watermelon, but after trying the strawberry and blueberry pomegranate, I think I have a new favorite chew. The taste perked me up, filled me and was something that didn’t upset my stomach in comparison to the previous version of GU products. The raspberry taste didn’t do anything for me and the same went with black cherry. I like the sizing of the new Chews bags instead of the older Chomps which were larger and more bulky. These are simple, small and fit great in my tri-suit and on the bike. I was excited to try all of the chocolate flavors including the salted chocolate, chocolate outrage, and peanut butter chocolate. I love chocolate gels, but I am particular in that I don’t want them to be too liquidy. Trying these flavors after GU rebranded itself, I was very happy to find that they actually tasted of chocolate and weren’t as liquidy in comparison to previous models. I pretty much found that the taste of the big apple and jet blackberry were not very good, did not excite me and, in fact, turned me off. 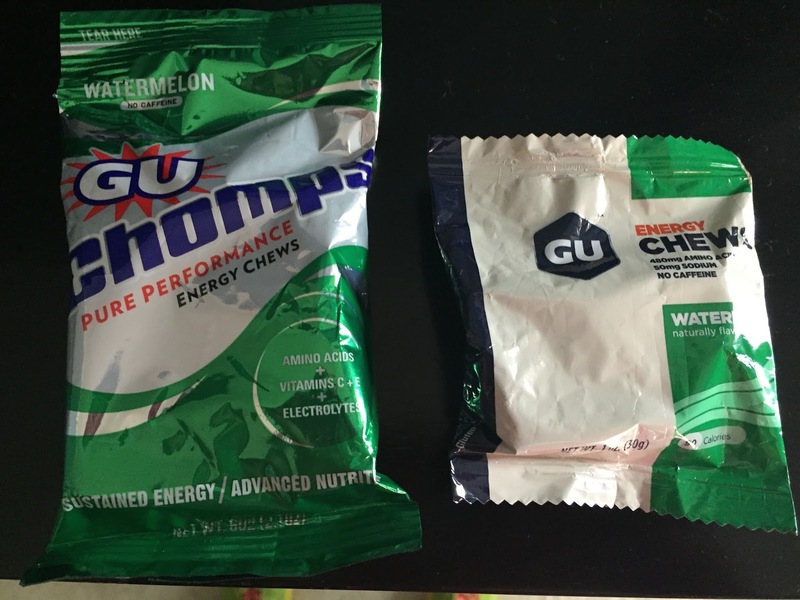 Some of the fruity flavors weren’t very good so in terms of the gels, I’ll stick to the chocolate.